On 31 March 2015, a discussion draft was released on Action 12 (Mandatory Disclosure Rules) of the BEPS Action Plan. The OECD is grateful to commentators for the input received which was discussed during this public consultation. 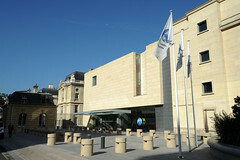 Enquiries about the conference should be addressed to mandatorydisclosure@oecd.org.